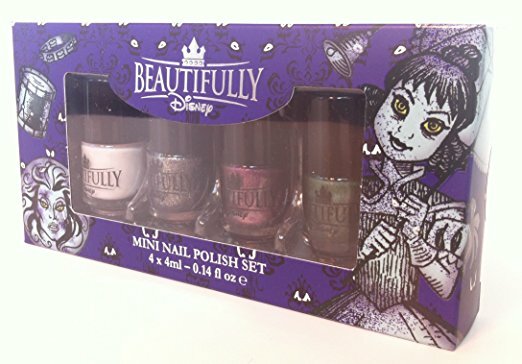 This is the "Beautifully Disney" Haunted Mansion mini nail polish set. It came out back in 2014, but I wouldn't hesitate to put it on my nails if the little bottles haven't been opened. The glittery burgundy color is my favorite! Disney's Haunted Mansion polish set is also available on eBay.